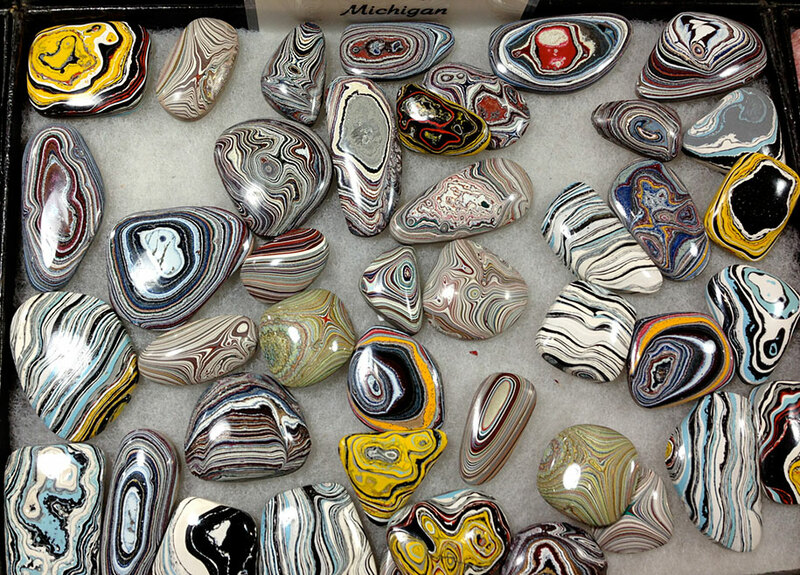 Fordite, also known as Detroit agate, is a beautiful stone and a wonderful relic of urban history. The extraordinary gem looks very much like a natural agate, rippling with layers upon layers of the most vibrant colours there are. 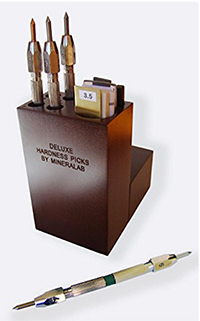 The stones were produced by car painting techniques that are no longer practiced – layered spray-painting by hand in automobile factories. 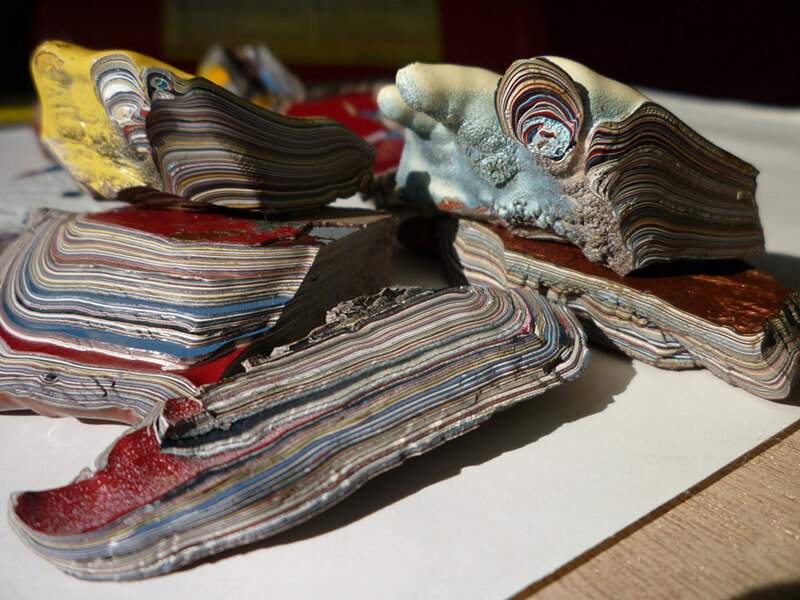 Now that the car painting process is automated, materials like Fordite might never be produced again. The limited supplies of Detroit agate are now used to create eye-catching pieces of jewellery, swirling with psychedelic patterns and inspiring nostalgia for bygone days. What great history! They are pretty . One of our friends has quite a bit of Hondaite. It is similar but has sparkles. personally i love Lamborghini Factory, its very very simple comparing to mega companies like Ferrari and their Paint Line is still done with hand not automatic and they make pretty good SS Cars which cost much less than Ferrari/Maserati. So, has anyone got any prized fordite with beer bottle cap inclusions, from beer that is no longer made? Perhaps, one with a tiny ripped off piece of a Marilyn Monroe poster? With a certificate of authenticity from a guy named 83 year man named Larry. And a tape recorded interview with him??????????? Documenting, the windiest day in the windy city of Detroit. Where his Marilyn Monroe poster blew off the wall, got sucked into one his fans by the car, shredded to pieces and stuck to his stool? Then he removed as much of it as he could. He later recalled painting a Cadillac lime green???? 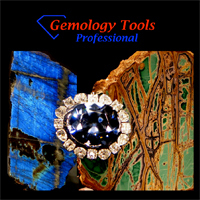 I think that would be the top gem quality material, and also be indicator of its natural origin. Not the knockoff fordite. For real though, it is pretty cool stuff. It was brought to my attention on a glass thread a couple years ago. Awesome stuff. Was it the best stuff came from the steel stools or something? Well, that's how you tell the counterfeits. 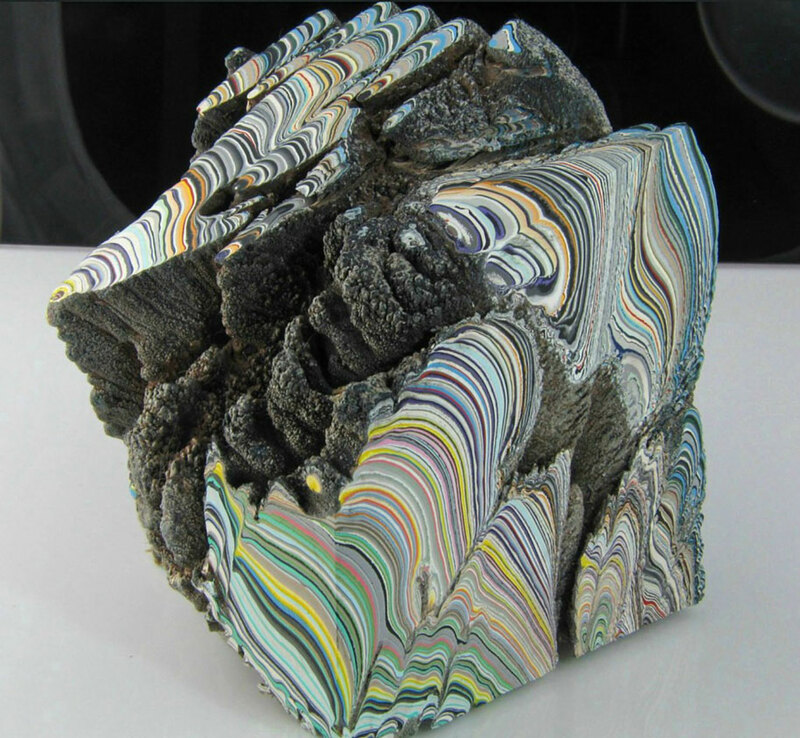 The autheticy interview with Larry will be in a foreign accent, claiming it to be authenctic Detroit fordite. Recollecting the windiest day in the windy city history. The day that the the Marilyn Monroe poster blew off the wall, went through the fan and stuck to the stool. 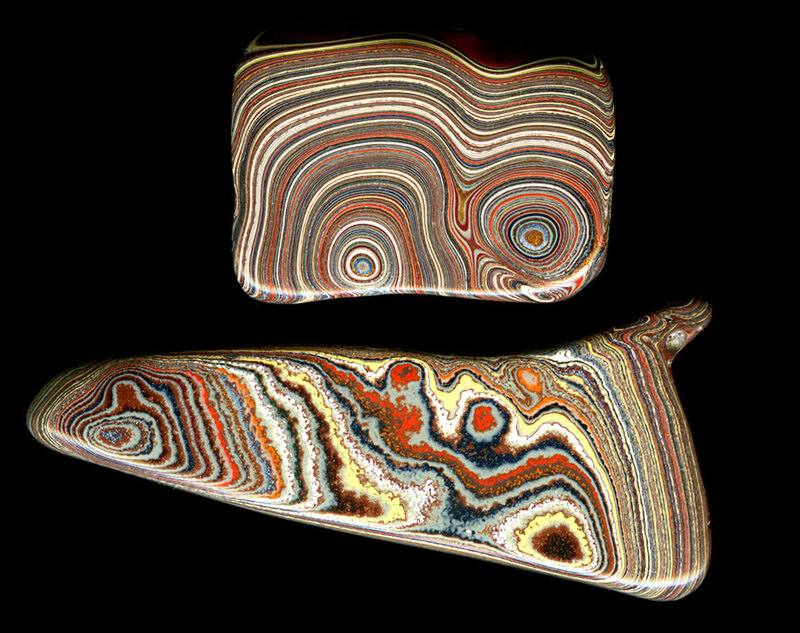 I'm a bit late to the game and just found out about this Fordite stuff. I find it fascinating. 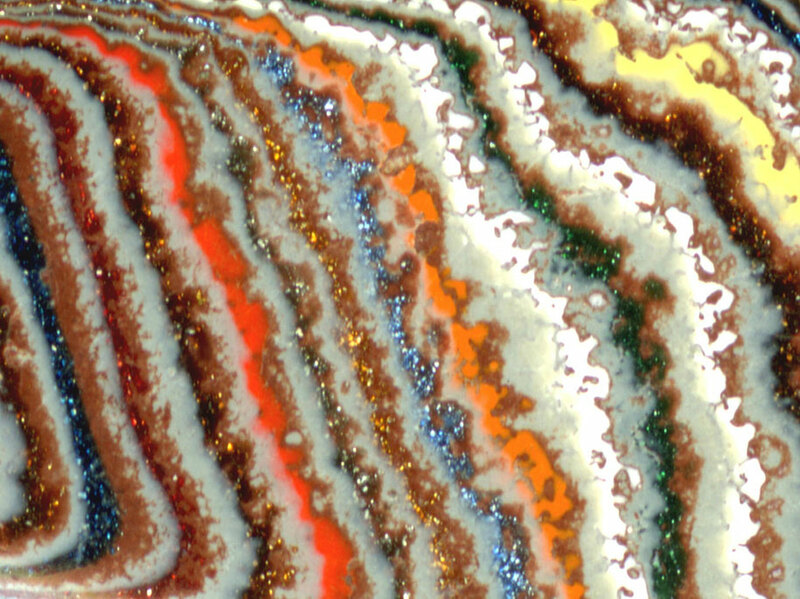 Does anyone have any contacts on where to find Fordite rough? 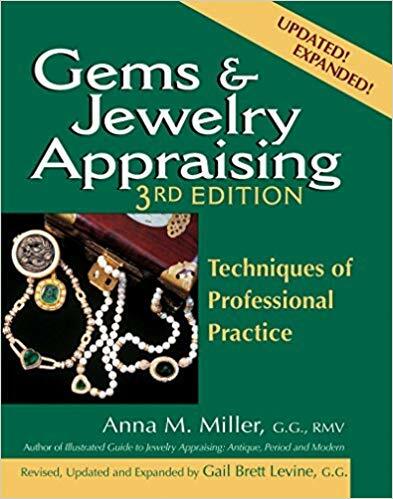 I'm finding alot of jewelry but not much interesting rough.